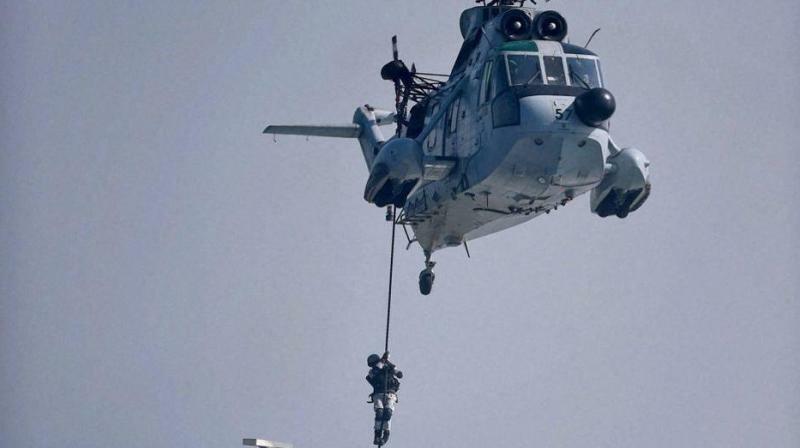 The long-pending proposal to procure 111 helicopters for Navy was cleared at a meeting of the Defence Acquisition Council. New Delhi: In a major move, the defence ministry on Tuesday approved the procurement of 111 utility helicopters for the Indian Navy at a cost of Rs. 21,738 crore. The long-pending proposal was cleared at a meeting of the Defence Acquisition Council (DAC), chaired by Defence Minister Nirmala Sitharaman, official sources said. The sources said that 16 helicopters will be procured at a fly away condition while 95 will be manufactured in India. The acquisition of the helicopters will be made under the strategic partnership model. The cost of the project will be Rs. 21,738 crore, the sources said. The government will now start the process to identify a foreign helicopter maker and an Indian defence firm for a joint venture for the project. In May, the government had unveiled the strategic partnership model under which select private firms will be roped in to build military platforms such as submarines and fighter jets in India in partnership with foreign entities. The procurement of the helicopters will be the first major acquisition project under the new model.